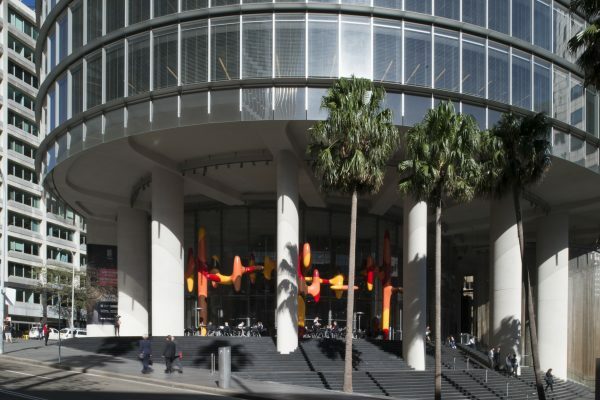 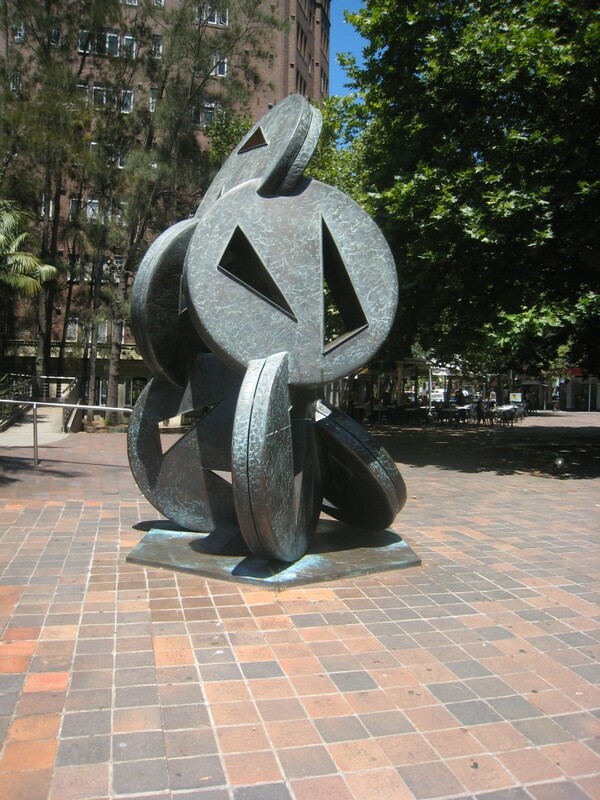 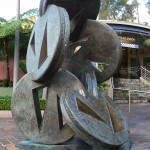 Angled Wheels of Fortune was created by sculptor, Dennis Wolanski, gifted to the City of Sydney by an unknown donor and unveiled on 26 April, 1988. 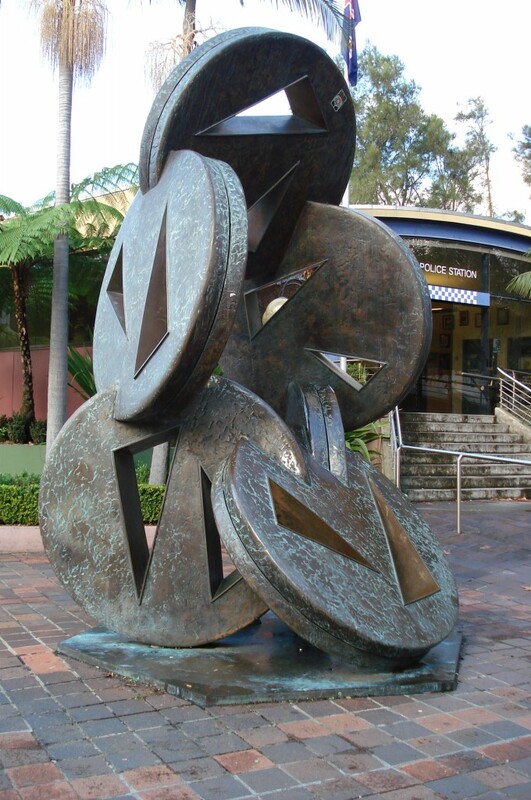 It consists of six bronze circular metal shapes that are interlocked. 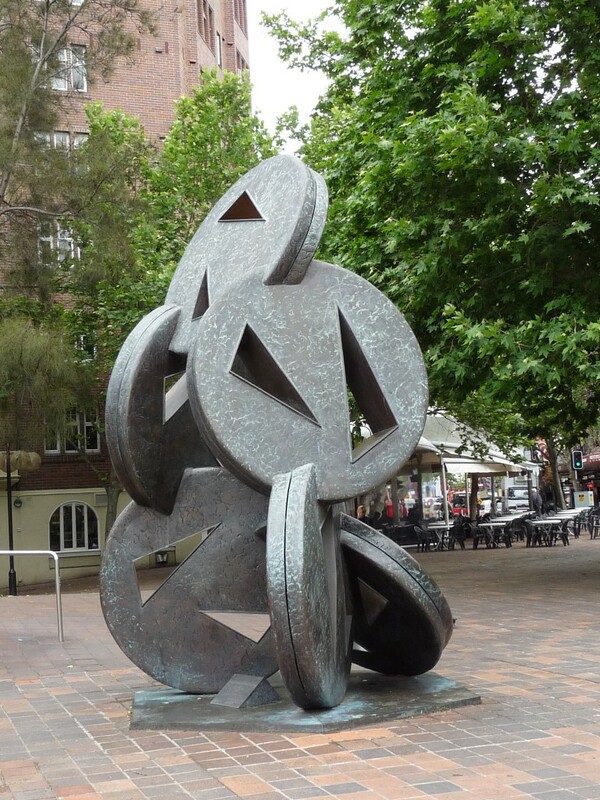 Each circle has two triangular shapes cut from the centre to create a negative space. 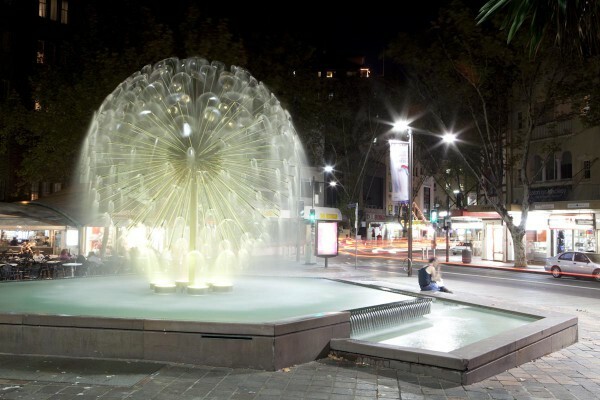 The surface is textured and has an applied patina which creates a pale green streaky appearance. 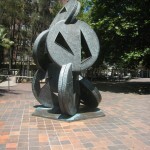 The sculpture is positioned on a six sided base. 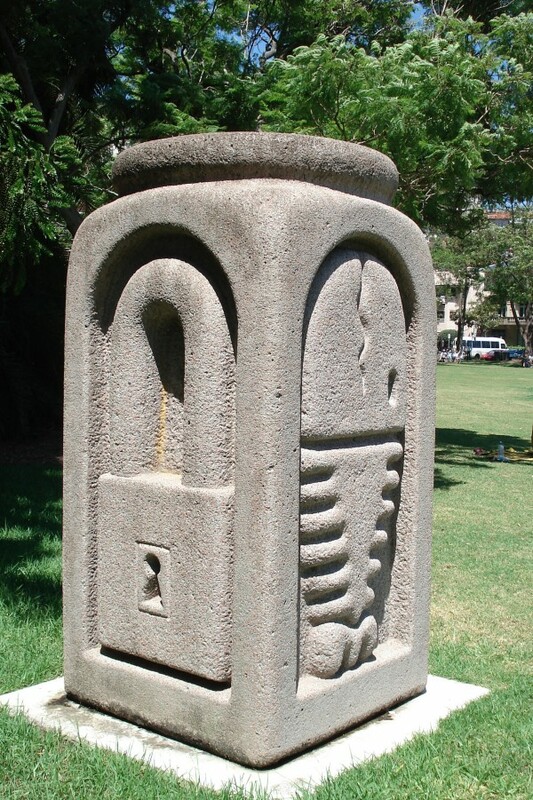 Dennis Wolanski was born in Poland; he survived the Warsaw ghetto during the Nazi occupation of the Second World War before migrating to Australia via Paris in 1950. 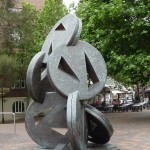 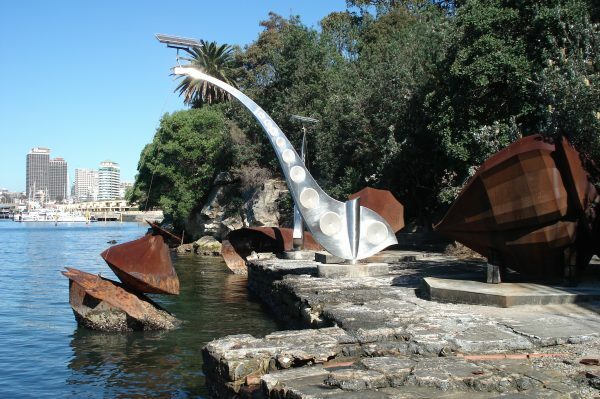 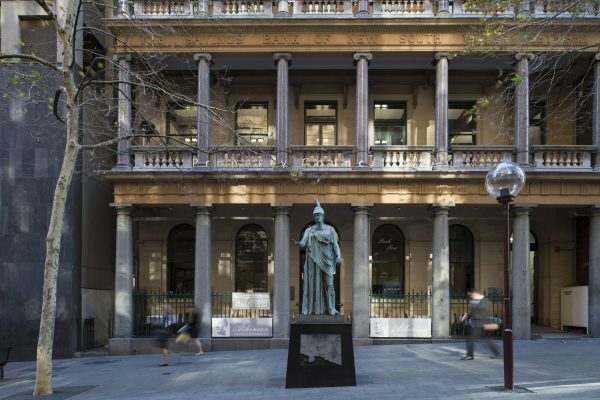 His interest in sculpture flourished from the 1970s, when he exhibited and was commissioned to create works for public spaces and buildings both in Australia and internationally. 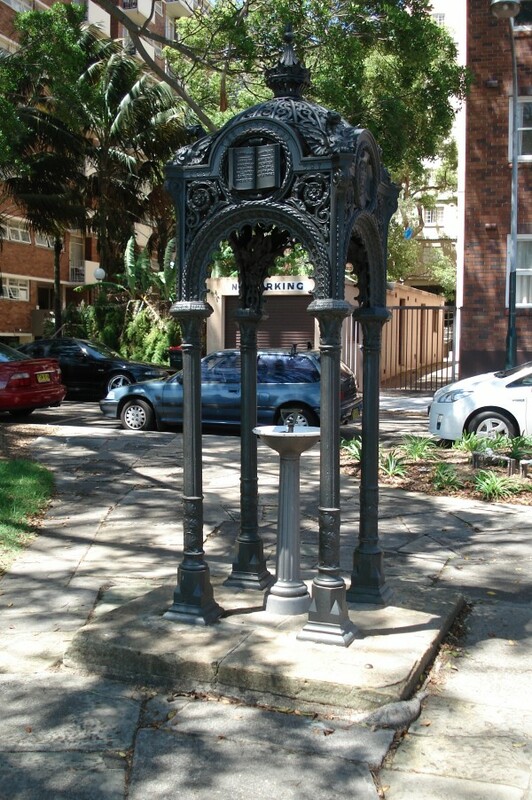 the City of Sydney by a generous citizen.